Don't miss out. There's only 5 available and 16 other people have this in their cart right now. Don't miss out. There's only 1 available, and 16 other people have this in their cart right now. Plant comes in 10”pot, pictured. Please purchase 3 heat packs from my shop if the weather in your city gets below 40 degrees F. Care: try to keep the soil moist. These plants are grown in a green house. Which means lots of indirect sunlight. 72 hour heat pack- for PLANT purchases ONLY! The plant came packaged with care. Beautiful, healthy plant, and much bigger than I expected! We love the plant. I would definitely order from ThePlantChica in the future. 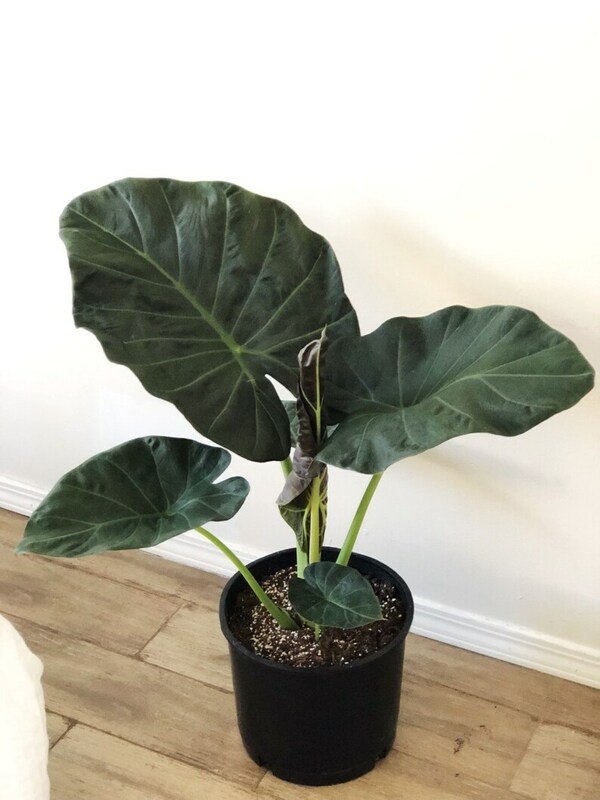 Over the moon with my new elephants ear!! I searched high and low at local nurseries in the sf Bay Area but couldn’t find the right (or hardly any) elephants ear plant. I saw the posting and Sandra was so kind and quick to respond and actually sent me photos of the 2 she had available. Super fast shipping, and my plant arrived carefully packed and in PERFECT condition. I’ve ordered quite a few plants online and this was by far the best pack job I’ve experienced. Can’t wait to order more plants from the plantchica! 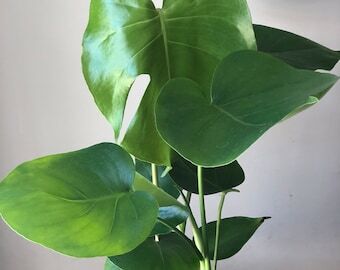 I recently kicked off my plant addiction with a very expensive plant I bought locally in San Francisco. I adore that plant, but was on the hunt for some more reasonably priced plants. Theplantchia's plants are hands down the best plants I have received. Both are stunners. My Alocasia 'regal shields' was way bigger than I anticipated and is so healthy looking, with tons of new leaves coming in. My ZZ Gem was a little smaller than I thought it would be (I think the photos just make it look massive) but still a great size, healthy, and has tons of new leaves as well. Everything was wrapped up so amazing. Both plants got to me in perfect condition, which is rare for plants being shipped. Highly recommend Theplantchica. I will 100% be purchasing more plants from her. This is my 4th plant from Sandra, and I’m once again thrilled. Her plants ship to me quickly, as I’m in LA. They always arrive in perfect condition and continue to thrive in my home. Transactions are smooth and communication is perfect. Thanks for everything!